A swimming mystery in Rio; The White House tries to get people excited about health insurance; How the Trump Organization's lawyer became a meme. Swimming mystery in Rio. Brazilian authorities pulled two U.S. swimmers, Jack Conger and Gunnar Bentz, off a plane to talk to them about inconsistencies in their stories of being held up at gunpoint this weekend in Rio de Janeiro. 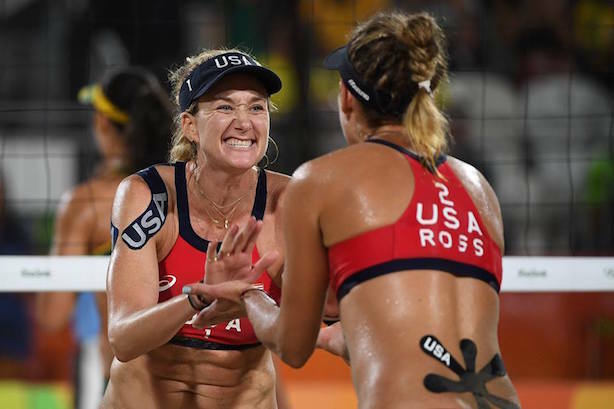 Ryan Lochte had already left for the U.S. Another big day for Team U.S.A. Walsh Jennings, Ross win women’s beach volleyball bronze. American sprinter Justin Gaitlin misses 200 meter finals. American women take three medals in 100 meter hurdles. U.S. men’s basketball rolls over Argentina. Business Insider: Why Under Armour won’t be happy about the Sports Illustrated cover featuring Michael Phelps. White House eyes campaign to spark Obamacare interest. The Obama administration is planning a marketing campaign to get new participants into Affordable Care Act exchanges. The push would feature testimonials from the newly insured and outreach to young consumers who paid tax penalties for not enrolling, according to The New York Times. Aetna said this week that it will pull out of the majority of state exchanges in which it offers plans. Politico: Denton to leave Gawker. With Gawker’s sale to Univision nearly a done deal, founder Nick Denton is preparing to exit the media company, according to Politico. The fate of Gawker Media’s flagship site is also up in the air. One staffer told CNNMoney that gawker.com’s team isn’t optimistic about the site staying online. Trump lawyer denies reality, becomes meme. A contentious interview between Trump Organization executive Michael Cohen and CNN’s Brianna Keilar, in which Cohen denied the existence of polls showing his candidate losing to Hillary Clinton, prompted the #SaysWho meme on Wednesday evening. Vanity Fair: New Trump campaign CEO hints at master plan. Wired endorses Clinton. Blake Shelton apologizes for old tweets. Country music singer and TV host Blake Shelton apologized for tweets dating back to 2009 that resurfaced this month, some of which were racially or culturally insensitive. "Can my humor be inappropriate or immature? Yes. Hateful? Never," Shelton said in an apologetic statement. Thursday reading list: Update: Cisco to lay off 5,500 staffers or 7% of workforce. Gannett ups deal for Tronc, the company formerly known as Tribune Publishing. Target to spend $20 million to add private bathrooms to stores.